If you're here looking for this week's Wednesday Hodgepodge questions you'll find them at the bottom of this post. But don't you want to hear about Paris first? Just typing that makes me happy. Oh I know people go on and on about something they call the 'attitude' you run into in Paris but the city, she is tres belle! 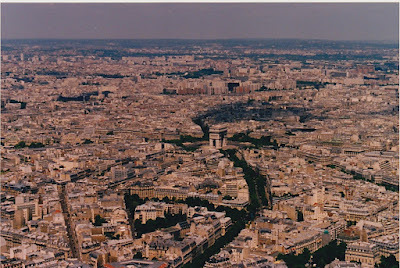 I have been to Paris a few times which might sound a little snooty but I promise, it's not. Think of it like this-when you live in London you're just a quick two hour train ride from The City of Lights. Kind of like where I live now in North Jersey. I could hop on a train and be in Washington D.C. in a couple of hours. Incidentally, did you know the design of D.C. was the creation of a French born architect who was heavily influenced by the city of Paris? I'm afraid the similarity ends there for me. 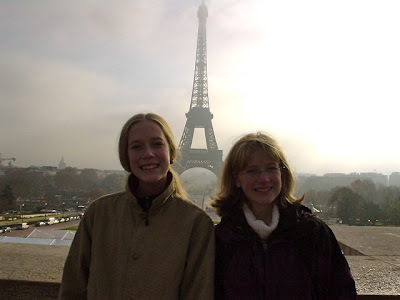 The very first time we ventured out of the UK following our move was for a trip to Paris aboard the Eurostar. It happened to be Thanksgiving weekend and we ate fish on the train which the girls felt was very wrong but c'est la vie. 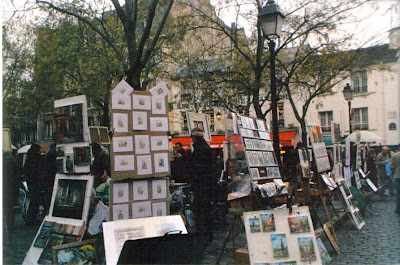 It was chilly in the city in November but I'm convinced there is no bad time to see Paris. 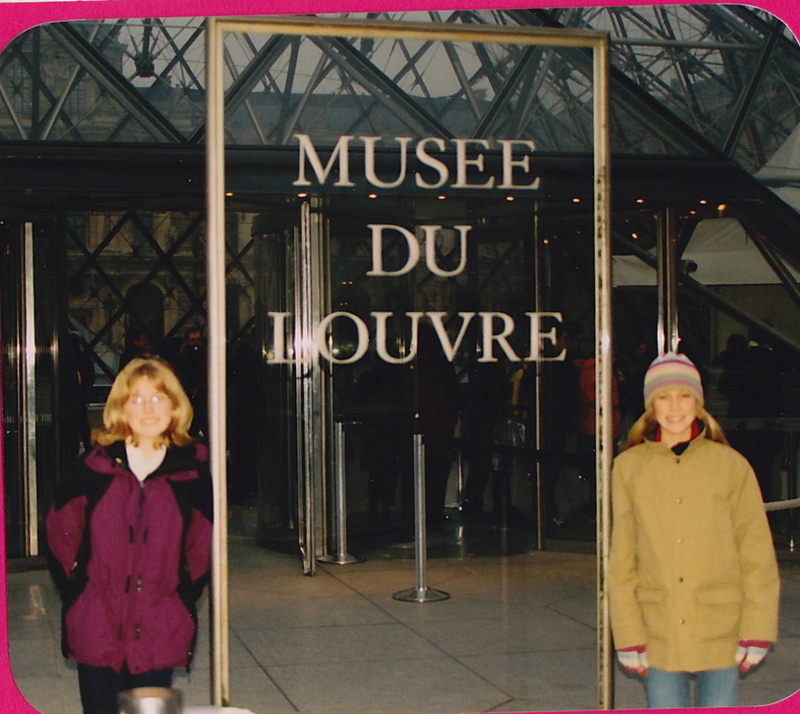 We did the typical touristy things on that first trip which included the Eiffel Tower, the Louvre, and Notre Dame. Oh and we ate our fair share of crepes and Croque Monsieur too. 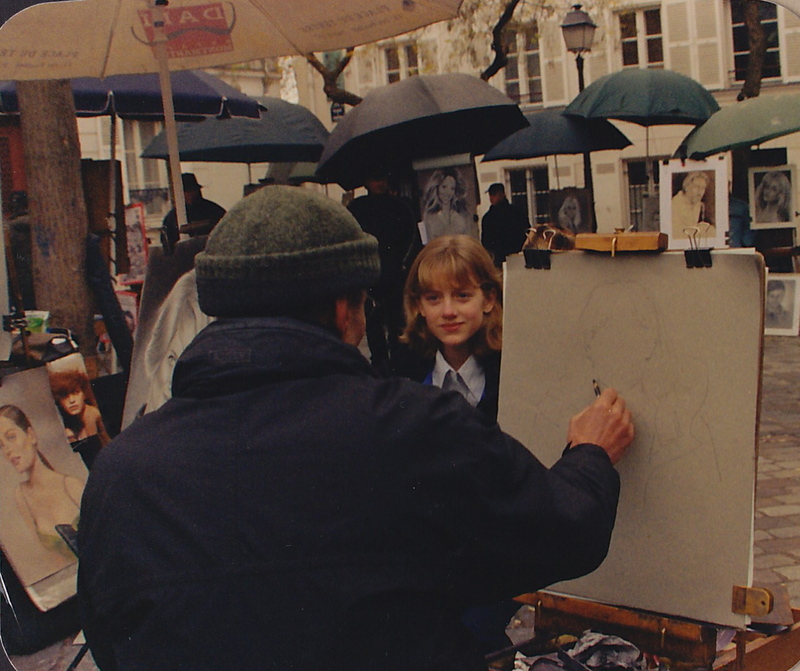 We spent a few hours one afternoon in Montmartre and the girls had their portraits drawn. Those portraits hang in my upstairs hall and are a happy reminder of what felt like a huge adventure to us at the time. Of course Mr. Rule Breaker had to tap the bell. When my sister and niece came to visit us in the UK my niece really wanted to go to Paris. Hubs and I were discussing the possibility one evening and I was saying how a week isn't really even enough time to see London, let alone make a day trip to Paris. Hubs said, 'Yes, but how often in your life do you get to go to Paris?" Daughter2 piped up and proclaimed, 'Well, if we go with the relatives it will be my third time this year." There are days I miss ex-pat life. Daughter2 was on the school swim team and they had meets in Paris. She still talks about the coach making them run up the Eiffel Tower steps as part of their training. I'd post some of her pics but daughter2 loves to travel the world and take dozens of pictures of her friends up close and personal. They might be in Paris, they might be in Cairo, they might be on a Greyhound bus...you can't tell from the pictures. People are the 'thing' she wants to remember. 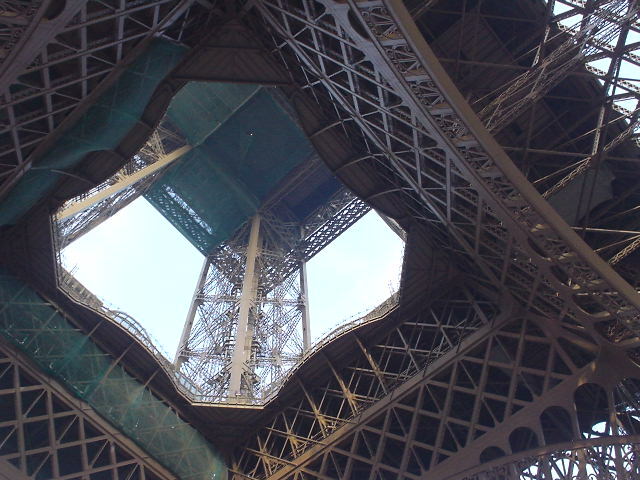 I have lots of Paris snaps but I'm only sharing a few and only from that first trip. That trip marked a moment in time where we circled the wagons and united firmly and completely as a family of four. Life still felt a little strange on the other side of the pond but on a cold and gray Thanksgiving weekend in the city of Paris we were given a glimpse of the opportunity that lay before us. We saw something else too...we saw that we would need each other to successfully and happily navigate these new waters. If you have teenagers you might recognize how big that thought is. Teenagers are typically entering a stage of pulling away, not drawing near. 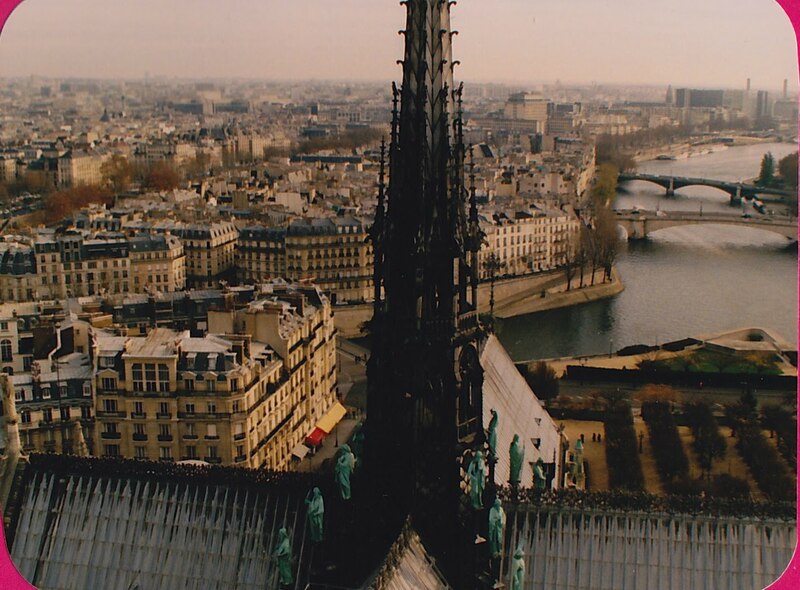 Every city has a personality all its own and Paris is no different. 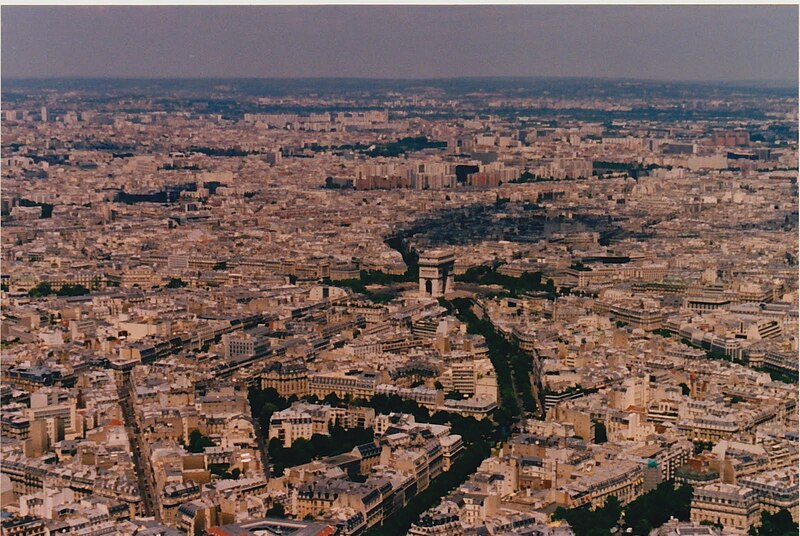 And of course beauty is different things to different people but to me, Paris will always be beautiful. It was here that we stopped looking back and started looking forward. And now, back to reality...here are the questions for this week's Hodgepodge. oh my dream trip! Hope to get there one day soon!!! Gorgeous and wonderful and delightful, oh my! 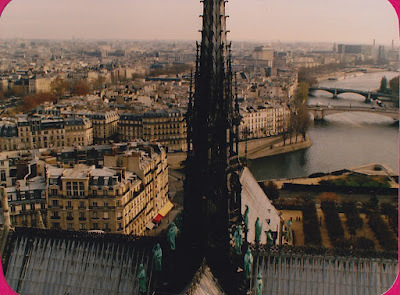 One day I will get to Paris, and then I'll stop off in Florence and Milan and then I'll make my way to some Greek Isle. This is my traveling dream. I heart Paris! Such a great city. Thanks for your Pimms recipe! It's a perfect day here for it. Raising teenagers abroad...now there's a topic for a week-long post! 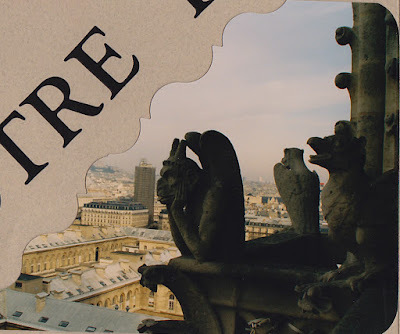 Visiting Paris three times in one year??? I haven't left the south in 56 years! Go figure...I'm not complaining though. You are quite the world traveler! What an incredible journey you've been on! I can't imagine running up the stairs of the Eiffel Tower...OUCH!!! 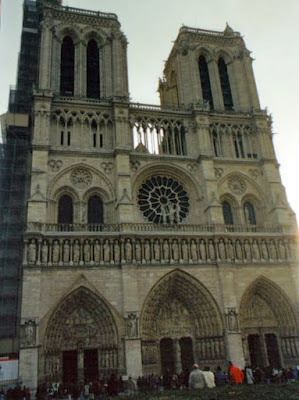 Paris is on my bucket list, but I think I've talked my hubby into going to Italy for our 25th anniversary. Which do you prefer and why? Also, what month is the best for a romantic tour of France? Italy? Our anniv is in December, but our summer break is end of Mzy-late Aug.
Paris sounds perfect. What a great experience you had living in the UK. I won't be doing any stairs anywhere! Thanks for the Hodgepodge questions. What wonderful memories you and your girls have ... your pictures have made me put Europe on my list of places I really want to visit!